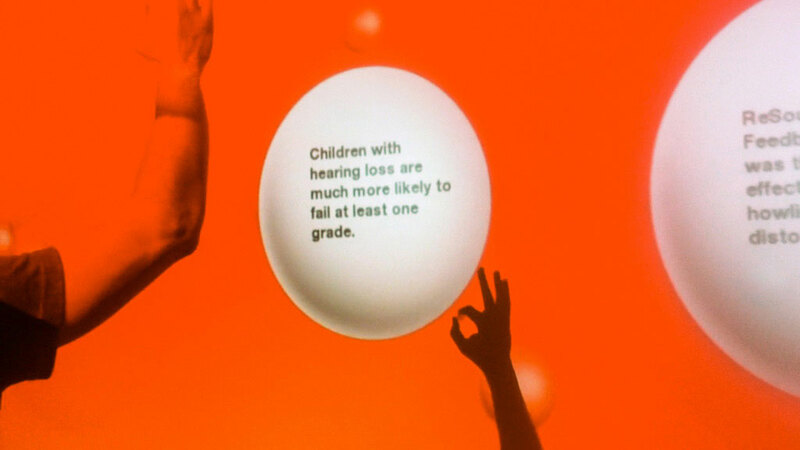 A mesmerizing, colorful environment populated with bubbles that AudiologyNOW! 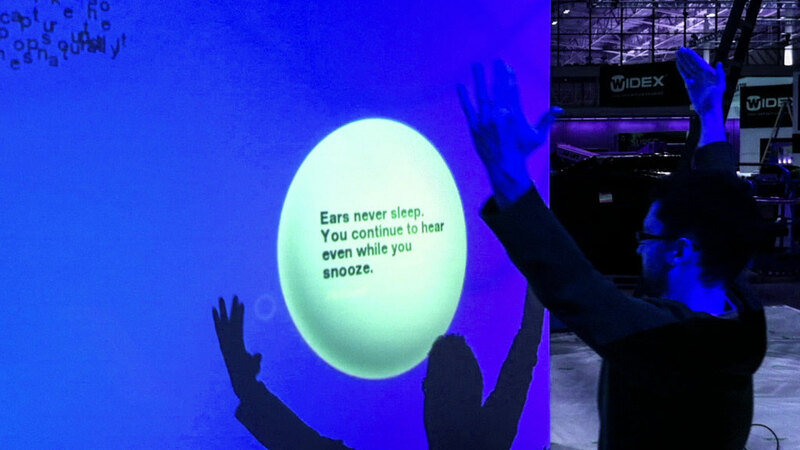 attendees could interact with using their shadows. Awarded Best in Show. 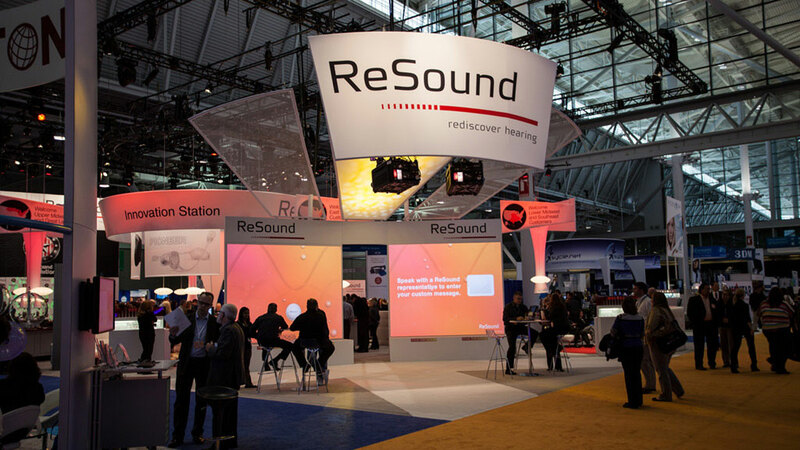 WHY ReSound, one of the world’s largest providers of hearing aids, wanted to create an innovative and informative experience for their booth at the 2012 AudiologyNOW! trade show in Boston. Ad agency space150 raised the bar for trade show booths, creating an engaging interactive projection that was developed in collaboration with Wildbytes. 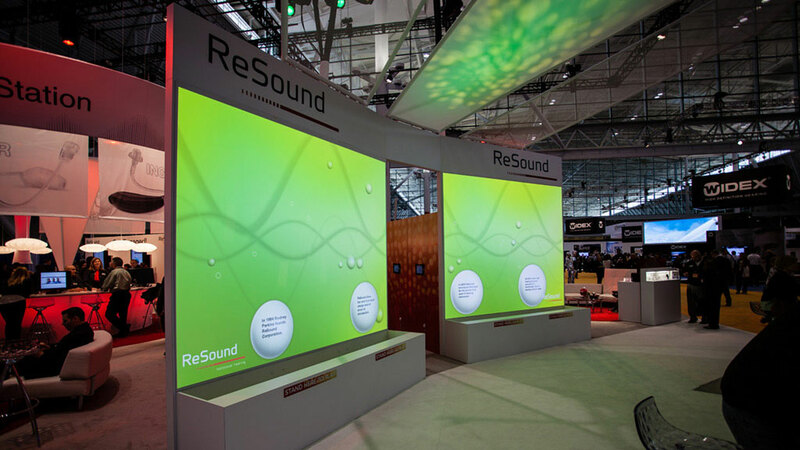 WHAT The Sound Bubbler was an interactive projection that framed the entrance to the ReSound booth. 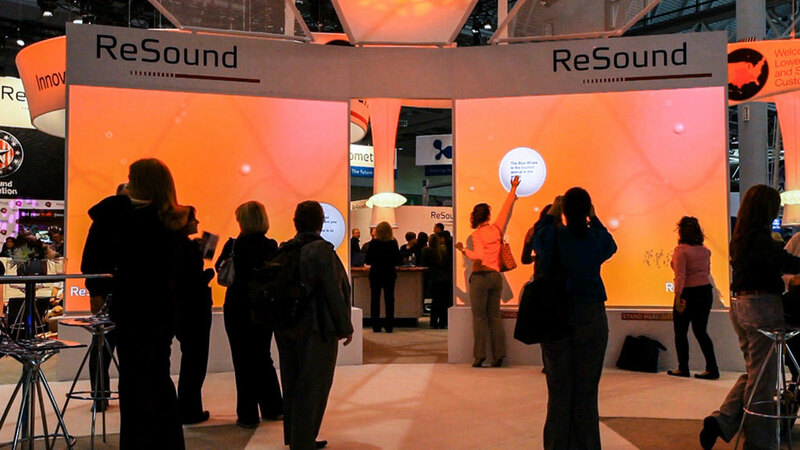 Attendees used their shadows to play in a colorful, ever-changing environment populated with bubbles filled with hearing trivia and information about ReSound. 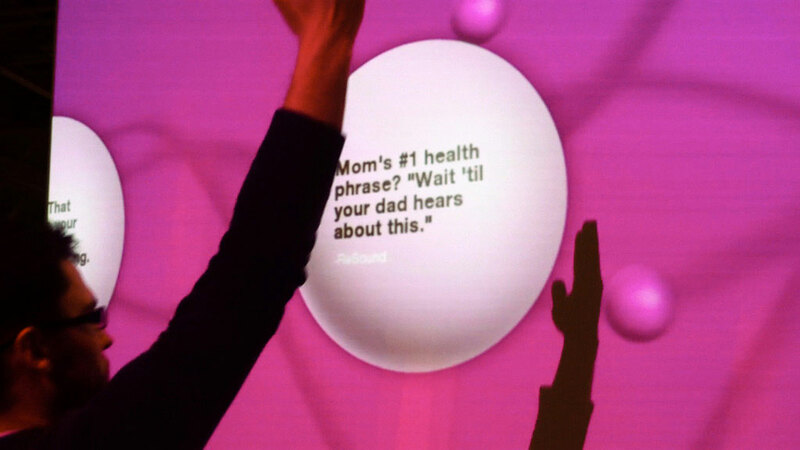 Beyond playing with the reactive bubbles, participants could also create their own, introducing new text through a set of iPads at the booth. These new bubbles would come to life in the projection in a matter of seconds. They could be gently touched, swatted across the screen, and also popped, causing the text characters they contained to fall apart and fill the space around them. 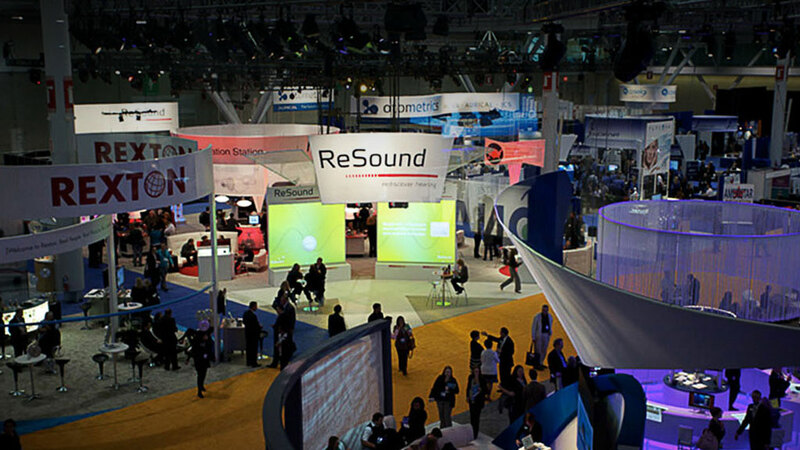 The result was a fun experience that attracted visitors and attention to the booth, and that was awarded Best in Show for the 2012 AudiologyNOW!